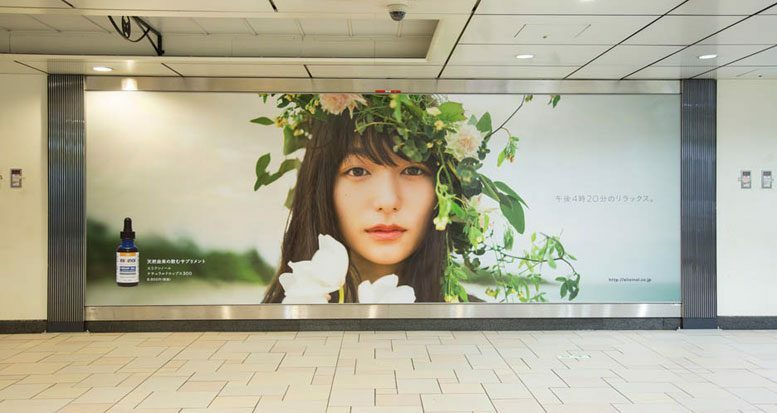 Australia-based Elixinol Group has put up the first-ever advertising for a CBD product in Japan with installation of a billboard in Tokyo’s Omotesando train station. “Japan has the third largest consumer economy in the world, and the audience is both sophisticated and health conscious,” said Elixinol CEO Paul Benhaim after the billboard went up earlier this month. CBD is legal in Japan, but CBD producers were heretofore not able to advertise them. “Elixinol has been supplying hemp oil products to Japan for over three years, however up until now we have not been able to actively market the product range,” said Makoto Matsumaru, CEO of Elixinol Japan. The approval came after months working with authorities in Japan, which has a very strong historical connection to hemp dating back to ancient times, Matsumaru added. “Approval to commercially advertise our Hemp Oil Drops is a major win for the hemp industry,” Matsumaru said. Elixinol, which went public on the Australian Securities Exchange in early January, already has operations based in Denver, Colorado, USA, where it makes and distributes hemp-based CBD, nutraceuticals, food supplements and skincare products. The company has a distribution network that embraces Asia, South America, Africa, the United States and Europe, where it began distribution operations last year.